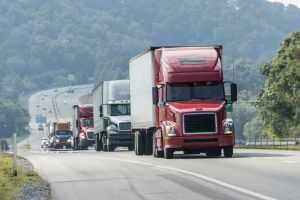 Truckers nationwide rejoiced last week when Republican politicians denied the Obama administration’s bill that set its sights on regulating trucker safety by keeping exhausted drivers off the highway. The rejoicing, however, will most likely only be temporary because like all things political, achieving goals can be described like a battle of attrition: the legislative process is an enduring one that must be sustained. In other words, just because the bill was shut down this time, doesn’t mean it’s going away forever. The process is relentless and Democrats are expected to be pushing for trucker safety regulations soon enough. The American Trucking Associations pledges otherwise. They promise to return to Congress when it is under control by the GOP to try and block the mandate of additional rest periods for truckers. 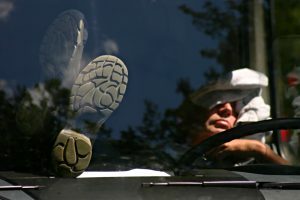 Specifically, they will be trying to strong-arm individual state laws that require rest stops – instead, the American Trucking Association advocates for one universal law for interstate trucking breaks, a law that states that extra rest breaks won’t be necessary for safety. Democrats are, needless to say, concerned over this. Truckers, on the other hand, believe they have the proper amount of agency within themselves to know when they can safely drive or not. To add to the disagreement, shipping companies (the truckers’ bosses) will of course side with their workforce, sacrificing safety regulations for lower cost of transportation. Shippers will most likely push for bills that allow more weight to be freighted, thereby increasing the overall size of the trailers the trucks are hauling. Claybrook’s side, specifically, wants to require that truckers take two nights off if they were to take the minimum amount of time off before starting a new work week, Yahoo reports. The minimum amount of time, by the way, is 34 hours over an 80 hour work week. To add conditions to that rest time, the 34 rest window must include two periods from 1 am to 5 am, in accordance to sleep scientists’ findings that those hours are the most critical for proper rest. Not all truckers oppose the regulation however. Some take solace knowing that other truckers on the road are getting the proper amount of sleep. 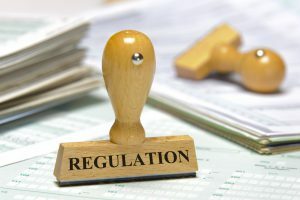 While others believe that the regulation is an intrusion of personal freedom and agency. It’s a sticky issue and I can see both sides of it. I have no reason to doubt that truckers do honestly believe that they can properly function on very little amounts of sleep. But just because one can doesn’t mean one should. I can’t help but think of the old proverb: better safe than sorry.